Bigpoint announced today that they're developing a free-to-play MMORPG based on the HBO television series Game of Thrones. The first screenshots for Game of Thrones Seven Kingdoms were sent out today, and the debut trailer will be shown at San Diego Comic Con. 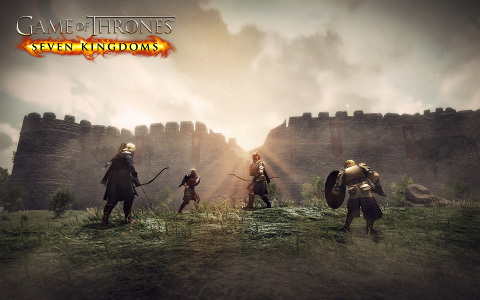 Seven Kingdoms takes place after the death of King Robert Baratheon and Ned Stark. The deaths of these two leaders have thrown Westeros into chaos, with several would-be kings vying for the Iron Throne. Players presumably get to choose which faction to support. They'll engage in both politics and player-versus-player combat. There's some talk of siege weapons as well. The MMO will be browser-based and utilizes Unity technology. Bigpoint is collaborating with Artplant on the game. They previously worked together on Battlestar Galactic, another licensed F2P MMO. The game's website, GameofThronesMMO.com, is now live. It's pretty bare bones at the moment but you can sign up for the mailing list to indicate your interest in beta testing. Bigpoint intends to launch the beta later in the year. 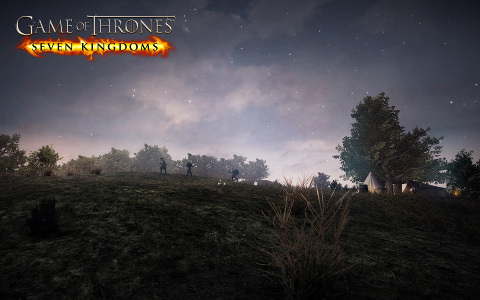 The announcement of Seven Kingdoms comes about a month after a Thrones Facebook game was announced and a single-player RPG was released for consoles and the PC. Game of Thrones' popularity is no secret at this point so it seems that HBO doing what they can to cash in.